To begin with, there is no ideal youth sports coach. Different coaches have different styles, different philosophies, different ideologies and so on. There is no one type that you can pick up and label good or even bad for that matter. That said, there are some traits that are essential in youth sports. 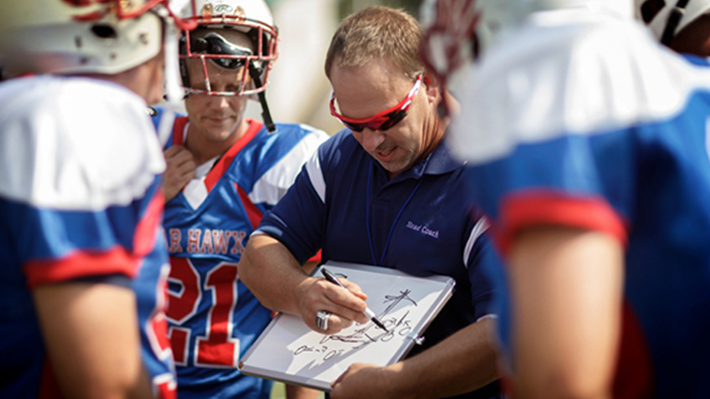 even with different styles, philosophies etc., some essential elements for youth sports coaching can make your child’s sports training a success. Ensuring that these essential elements are there, the kid not only picks up sports skills but also picks up life skills that help in making a better person of your child. Here are the things that you need to ensure in your child’s sports coaching, irrespective of the coach’s coaching style. There are coaches who can get very irritable at the players. Disappointment can be justified, but taking it out on kids is not done. Seven-eight year olds cannot objectify yelling. They lose confidence and in some cases even get emotionally wrecked. Coaches need to have patience and know the art of positive reinforcement. Coaches need to talk the language children can understand. This includes explaining technical terms, simplifying jargon and also using a tone that can be comprehended by children. This also means that the coach breaks down instructions into bits and pieces such that children can understand well. Some coaches are very ambitious, which is actually a good thing, but that should not translate to putting undue pressure or giving false hopes to kids. If you ask coaches about sports parents and communication issues, most would say that parents are interfering, demanding and unreasonably critical. That being true to some extent, coaches also need to realize that parents are anxious about their child’s performance. A lot’s riding on it. a good coach would know the importance of communication with parents. In fact, coaches can collaborate with parents and delegate a lot of work that otherwise takes up the coach’s time and leaves little time for the actual coaching. Many successful teams have been so because of the fantastic coordination between the coach and parents. A good coach knows the importance of learning to lose gracefully. It is obvious how the coach would react when the team wins, what you need to see in your child’s coach is, the coach’s reaction when the team loses. The coach needs to teach kids how to accept defeat, how to learn from it and how to emerge all fresh and enlightened out of the whole experience. This is not just a sports skill but it’s a great life skill too.